Ralph S. Lander, 92, of Venus passed away on Saturday, September 15, 2018 at his home after a period of declining health. Born on December 21, 1925 in Lucinda he was the son of Joseph and Loretta Schupp Lander. On September 27, 1952 at St. Michael Church in Fryburg he was married to the former Marian Guth Lander who preceded him in death on May 14, 2008. He affectionately referred to her as his “Heaven on Earth”. 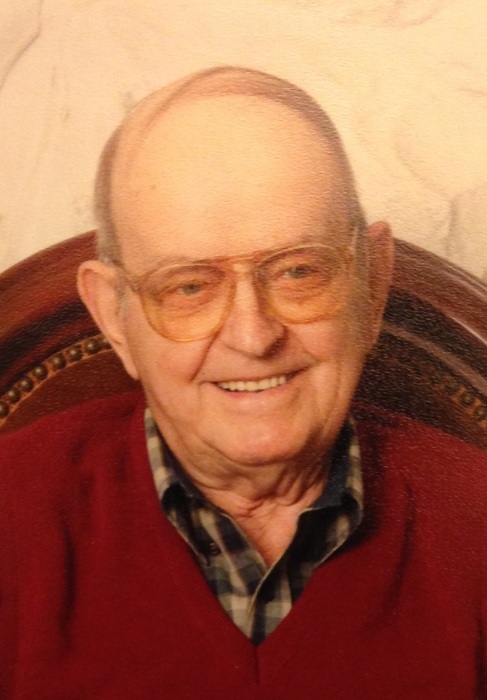 Ralph was a member of St. Michael Church in Fryburg where he also served on parish council for many years. He was instrumental in many of the projects that were completed at the church including new sidewalks, landscaping, and other projects that helped to improve the Church, school, and social hall. He served in the US Army from 1946 to 1947 as a dozer operator. After serving his time in the Army he went to work for the railroad and also did carpentry work around the area. He later went to work for Harold Siegel Coal Company until it closing in 1984 and then went to work at Joe's Garage in Tylsersburg until his retirement in 1993. He and Marian spent time traveling the United States and their children in Florida and Texas. Ralph is survived by his children: Louise Carroll and her husband Stephen of Zephyrills, FL; Greg Lander and his wife Sherrell of Colleyville, TX; Loretta Trevino and her husband Larry of Lima, OH; Lisa Carroll and her husband George of Lucinda; Ralph Lander of Zephyrhills, FL; and Lynne Fleisher and her husband Rob of Strattanville. Also surviving are twelve grandchildren: Christine (James) Wayt, Adam (Jennifer) Carroll, Leann (David) Anderson, Hannah (Seth) Williams, Chance Lander, Andrew and Christopher Trevino, Nicholas (Nicole) Carroll, Alicia, Jordan and Dayton Carroll and Blaise Fleisher, and five great-grandchildren: Hailey and Anna and Elliott Wayt, and Katarina and Ethan Carroll. Ralph is survived by one sister, Bernice Biernik of Erie. Also surviving are 3 sister-in-laws, Joan Lander, Mabel Lander & Jane Lander and many, many nieces and nephews. He was preceded in death by his parents, his wife Marian and a granddaughter Marissa Trevino. He also was preceded in death by his brothers and sisters: Susan Dayton, Grace Zacherl, Bernadine Goughler, Helen Lander(infant), Florence Schmader, Catherine Whitehill, Beatrice Biltz, Frederick & Paul Lander(infant twins), Russell Lander, Daniel Lander, Ann Kinch, & Arthur Lander..
Friends will be received at the Faller Funeral Home, Inc. in Fryburg on Friday, September 21, 2018 from 6-8 PM. Military honors will be presented at 6PM on Friday, September 21, 2018. Friends will also be received at 9 am on Saturday, September 22, 2018 at St. Michael Church in Fryburg. Mass of a Christian burial will be celebrated at 10 am on Saturday, September 22, 2018 at St. Michael Church in Fryburg, with Rev. Joseph Czarkowski, Pastor presiding. Memorials in Ralph's honor may be made to Clarion-Forest VNA Extended Care or St. Michael Church Steeple Fund..